Yes, Emmy-winner Yeardley Smith is the voice of smart, spunky Lisa Simpson on The Simpsons. For the last 30 years. Wow! Yeardley is also an on-air actor (remember her from City Slickers, Herman's Head, The Legend of Billie Jean and Maximum Overdrive?). And she co-hosts the true crime podcast Small Town Dicks, now in season 4. Tune in! Subscribe! Join us! Then head to YouTube.com/reallyfamous to watch our fun little video. WATCH Yeardley & me recording a video. SEE pictures of Yeardley Smith & me behind-the-scenes! Buy tickets to see Yeardley Smith in person at the Tribeca Film Festival. I want to interview ... YOU! Want to do something spectacular for someone in your life? 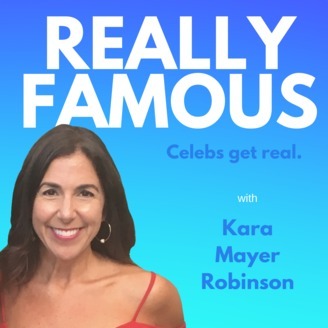 Give them an episode of Really Famous (for their own private collection...or yours!). I'll interview anyone you like -- your family member, friend, colleague, you -- and package it as a podcast episode. It won't air on Really Famous, but you'll have a major keepsake -- forever. 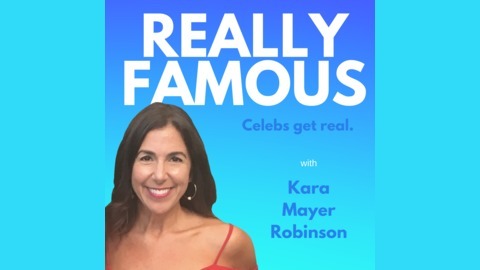 Celebrity interview by Kara Mayer Robinson.